WESLACO, RGV – A unified delegation from the Rio Grande Valley visited Washington, D.C., in a historic trip to speak about the misconceptions of the border region and the possibility of increasing border resources. Congressman Henry Cuellar, D-Laredo, held a phone conference on Wednesday with the RGV delegation to discuss what they achieved on the trip and on tackling the negative reputation that the border region receives. Cuellar represents the western end of the Valley. Cuellar explained the purpose of his trip was to highlight the border region and how a message of unity from the border can create opportunities for resources. 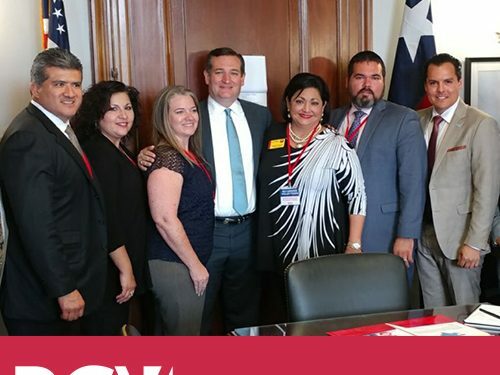 Rose Benavidez, president of the Starr County Industrial Foundation, joined the RGV delegation to explain how a united voice from the Valley can help provide funding opportunities from different government agencies for programs the border region needs. 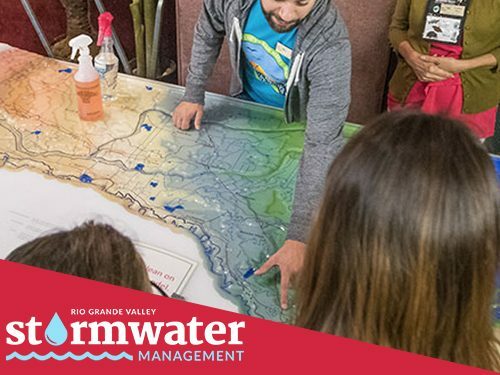 “What we have found is that we’ve always made trips individually or independently, but this collective effort to share a voice and a unified message of not just want the needs are in the Rio Grande Valley, but also the story of the benefits and the story of the opportunity that exist in the Rio Grande Valley,” Benavidez said. 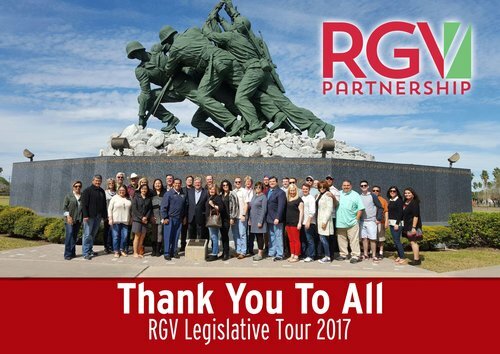 Sergio Contreras, president and CEO of RGV Partnership, organized the trip that had business, community and education leaders from all four counties in the Valley. 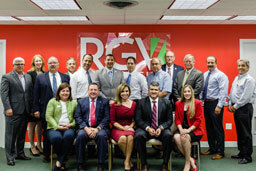 Contreras said the RGV delegation met with several members of Congress, government agencies and foundations, such as, the National Institute of Health, the National Science Foundation, the US Economic Development Administration, the Department of Homeland Security, the US Small Business Administration, General Services Administration, the Department of Justice, the Wilson Center, and the Border Trade Alliance, according to Congressman Cuellar. Shirley Reed, the president of South Texas College, spoke about the “master plan” of the Regional Center for Public Safety Excellence at STC, which will provide specialized training for law enforcement officials, and how the Department of Homeland Security and the Department of Justice can help the $70 million program. 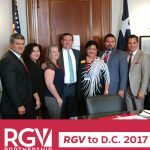 Rep. Cuellar recommended the RGV delegation return to Washington in February before the House Appropriations Committee decides on the new budget in March 2018. Contreras says they will return to follow up with the different agencies they met with to continue the conversation of expanding border resources. “It provides us the opportunity to, in the sense of, one, in supporting our Congressional delegation, and meet here to take some action as we go back to the Valley and follow up with those different agencies and engage in that conversation,” Contreras said. Congressman Cuellar is optimistic a united RGV delegation will be just as productive as the other delegations from Laredo and San Antonio that represent South Texas. 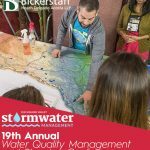 Emily Rogers and David Méndez presented at the 19th Annual Lower Rio Grande Valley Water Quality Management & Planning Conference, hosted by the University of Texas Rio Grande Valley on March 23-27. BHDA is proud to return to this important conference each year and take part in the discussions surrounding the interplay of water/environmental, economic, and infrastructure issues impacting regions of the Rio Grande Valley. Emily Rogers presented two topics, one of which discussed the legal and practical issues associated with using Lower Rio Grande irrigation surface water rights for industrial purposes. She discussed the current status of the law, hurdles, and possible solutions. Emily also presented a topic discussing the legal and practical requirements for obtaining the legal right to reuse groundwater and surface water-based wastewater effluent. These two topics explored potential new water supplies and provided an opportunity to discuss innovative water supplies. 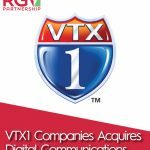 Raymondville, TX (April 26, 2017) – VTX1 Companies today announced its acquisition of Digital Communications in Harlingen, TX. Digital Communications, established in 1983, is a provider of security, surveillance and monitoring systems in the Rio Grande Valley. They also have expertise in premise-based and hosted business communications systems as well as installing and maintaining LAN/WAN network systems. VTX1 provides internet, telephone, TV services and security applications for homes and businesses in South Texas, and a fully-managed IP transport network and optical services for larger enterprises. VTX1’s broadband network extends from south of San Antonio to the lower Rio Grande Valley. The corporate name is VTX1 Companies. Legal entities are: Valley Telephone Cooperative, Inc., VTX Communications, LLC and VTX Telecom, LLC. 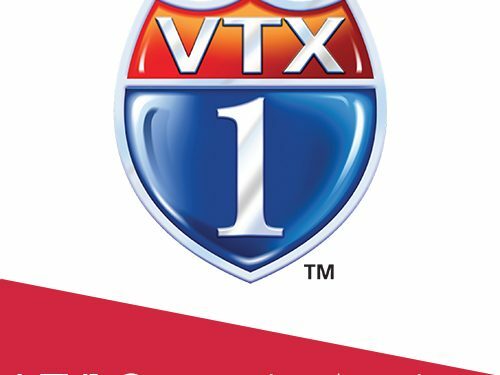 For more information about VTX1, visit www.vtx1.net or call 1-800-446-2031. The United States and Mexico have long relied on a strong, strategic partnership in the areas of defense, national security, and trade. The resolution outlines our shared cultural and economic ties and highlights areas of cooperation including votes at the United Nations; defense, security, and law enforcement partnerships such as the Merida Initiative; and efforts by the Nieto administration to reduce domestic production of illegal drugs and extradite criminals to the United States. The resolution reaffirms this relationship by supporting continued diplomatic, economic, and security cooperation between the two countries and fostering a relationship that is based on mutual respect and the promotion of shared democratic values and principles. AUSTIN, TX — Today, the Texas Transportation Commission(TxDOT) recommended $150 million in funding for the US 83/US 281 Interchange project in the Rio Grande Valley. The monies will come from TxDOT under the 2017 Unified Transportation Program which authorizes projects for construction, development and planning activities and includes projects involving highways, aviation, public transportation, and state and coastal waterways. “It’s exciting news that the Rio Grande Valley has been recommended by TxDOT to receive $150 million in funding. As one of the fastest growing areas of the state, infrastructure is key to continue the economic growth of the Rio Grande Valley. The Pharr Interchange is critical to the flow of traffic of the economies of Pharr, Edinburg, McAllen, Mission, and Weslaco. Since last year I have made the Pharr Interchange project a top legislative priority. This funding is critical to improve our transportation system and infrastructure need that will greatly benefit our local communities. It will address the congestion and bottlenecks that presently exists. We have had many meetings with our local elected officials, the Governor’s office, TxDOT staff and leadership, including Chairman Tryon Lewis and James Bass who made a visit to the Rio Grande Valley. “As Mayor of Pharr and Vice-Chair of the regional Hidalgo County Metropolitan Planning Organization, transportation and infrastructure improvements have been my top priority. Over the past 18 months, I have used my position to impress upon our local leaders, our state officials, and our federal partners the importance of bringing resources to South Texas to meet the demand of our growing communities. 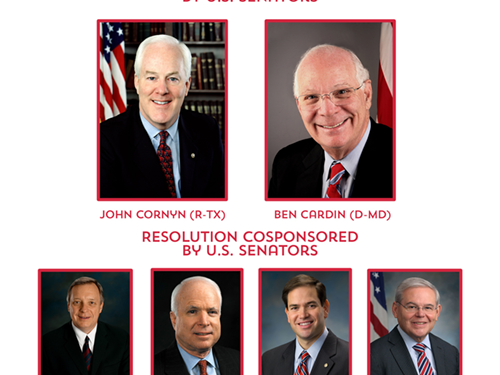 Senator Juan “Chuy” Hinojosa proudly represents the counties of Nueces, Jim Wells, Brooks, and Hidalgo (part). Senator Hinojosa served as the Senate President Pro Tempore of the Texas Senate in the 84th Texas Legislature. Senator Hinojosa currently serves as Vice-Chairman of the Senate Committee on Finance, and serves on the Senate Committees on Natural Resources & Economic Development; Transportation; Agriculture, Water & Rural Affairs as well as the Sunset Advisory Commission. We are so very grateful for all of our sponsors, hosts, and visiting legislators for helping us make this a productive experience for everyone. Our Board of Directors are heartened to see this group being so attentive and inquisitive throughout our journey through the RGV. The purpose of this tour is to engage our local communities and supporters in a direct conversation with our policy makers. Stay connected here for additional media coverage. The RGV Partnership thanks all sponsors of the RGV Foundation’s 29th Annual Golf Tournament. It was an amazing day shared with great individuals from throughout the RGV. Proceeds will support our scholarship program to ensure that we continue to champion a skilled and educated workforce in our 4-County region! September 22, 2016 – The Rio Grande Valley Partnership is pleased to announce that Sergio Contreras, Executive Director of the Pharr Economic Development Corporation (PEDC), has been selected to serve as the next President & Executive Director.